KANSAS CITY, MO. 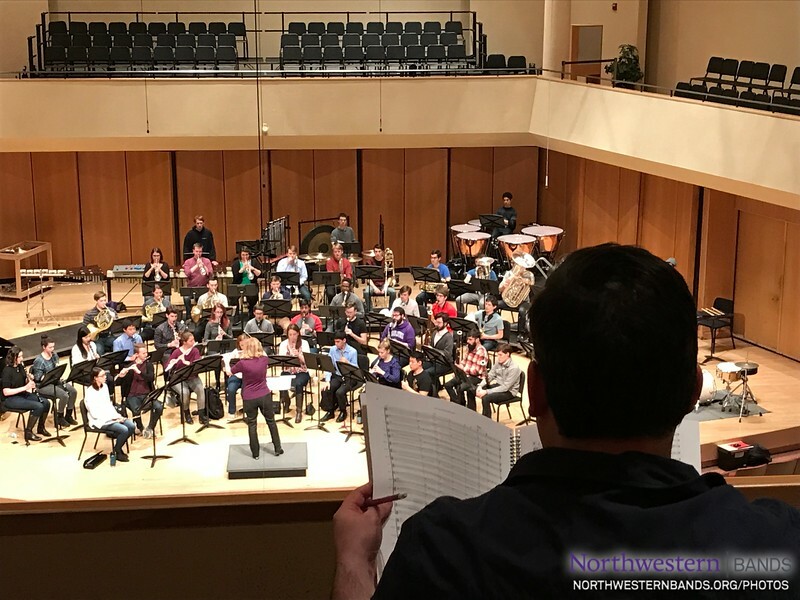 — The Northwestern University Symphonic Wind Ensemble will perform at the 39th national conference of the College Band Directors National Association on Saturday, March 18, 2017. The performance will be held at 3:30 p.m. in Helzberg Hall, Kauffman Center for the Performing Arts, in Kansas City, Missouri. A live webcast of the concert will be available at banddirectorlive.com. Led by Dr. Mallory Thompson, director of bands and John W. Beattie Chair of Music at the Bienen School of Music, the Symphonic Wind Ensemble will perform Richard Strauss’ Festmusik der Stadt Wien and Carter Pann’s My Brother’s Brain: A Symphony for Winds. Also on the program is Joel Puckett’s that secret from the river, commissioned by the Bienen School of Music in celebration of the opening of the Patrick G. and Shirley W. Ryan Center for the Musical Arts. This concert marks the Symphonic Wind Ensemble’s fourth CBDNA appearance. Ensembles invited to perform at the biennial conference are selected by a blind, peer-reviewed audition process. The Symphonic Wind Ensemble’s current membership includes students from 21 states and four countries. The ensemble was founded as the University Chamber Band in 1954, when director of bands John P. Paynter began experimenting with flexible instrumentation in a single-player-per-part configuration. Renamed the Symphonic Wind Ensemble in 1969, the group began developing a reputation for innovation and artistic performance, honoring and expressing the orchestral training and tradition of Northwestern’s applied faculty. The ensemble will release its seventh recording, featuring repertoire from the CBDNA concert, this December.